@dealseveryday As of 01/25/18, I tested this promo code and verified that it works as described. @rockstahshoppah Tested this promo code for MauiShirts and verified that it works as described. Just enter the code at checkout to get Free Shipping on Orders Over $26.46. 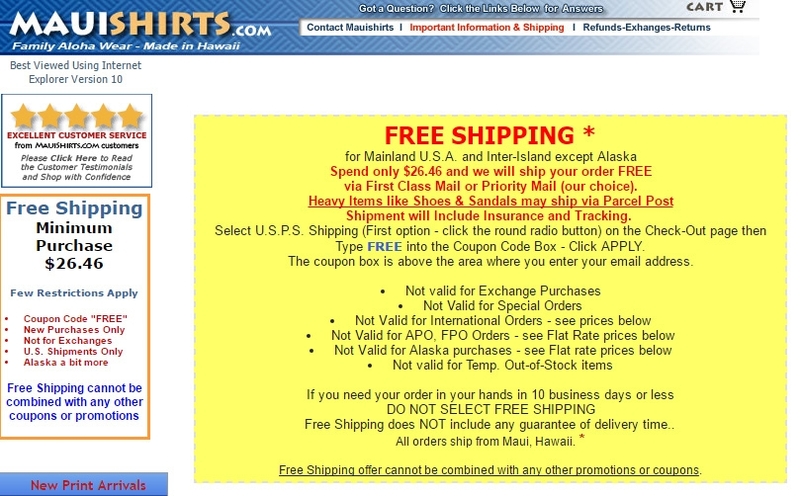 @rockstahshoppah Tested this promo code for MauiShirts and verified that it works as described. Just enter the code at check out to get Free Shipping on Orders Over $26.46.